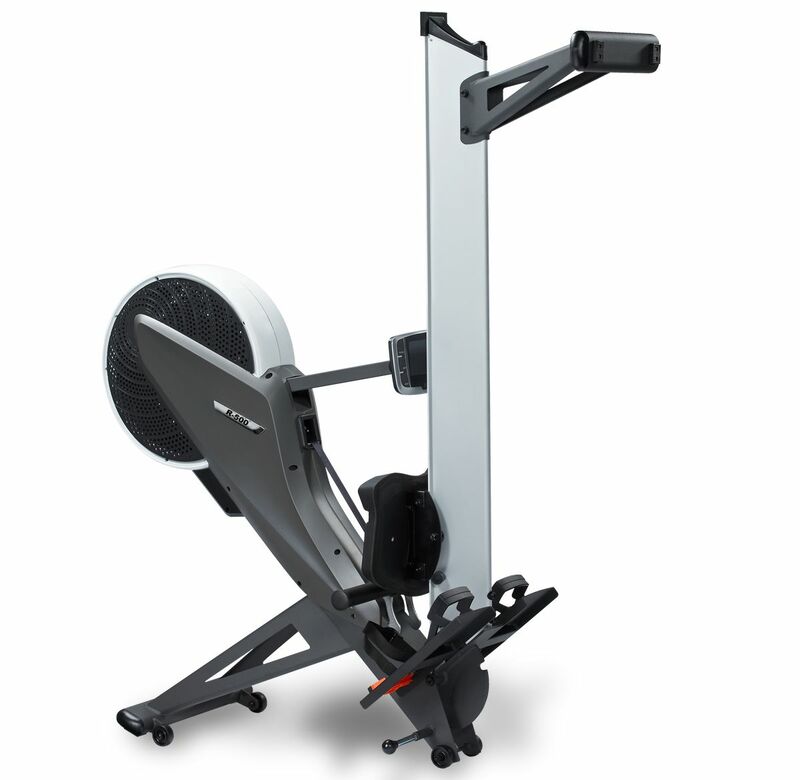 The R500 rowing machine combines a system of Air- Magnetic resistance linked to a 12 kg flywheel. The dual air/magnetic resistance system of the R-500 combines two resistance systems to deliver the best of both. The air resistance element ensures a natural rowing feel; the harder you pull, the more resistance it delivers. The 12 kg magnetic flywheel means the R-500 can deliver a higher level of resistance than that available on air-only rowers with the additional benefit of preset programmes, providing changing resistance settings during your workout. The air flow to the flywheel is designed in such a way that you can feel any change in intensity of the stroke movement. 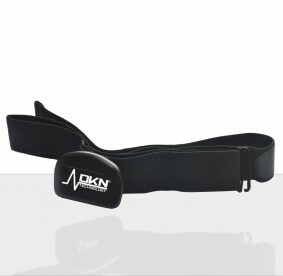 This makes the rowing movement very smooth, almost silent and very natural. 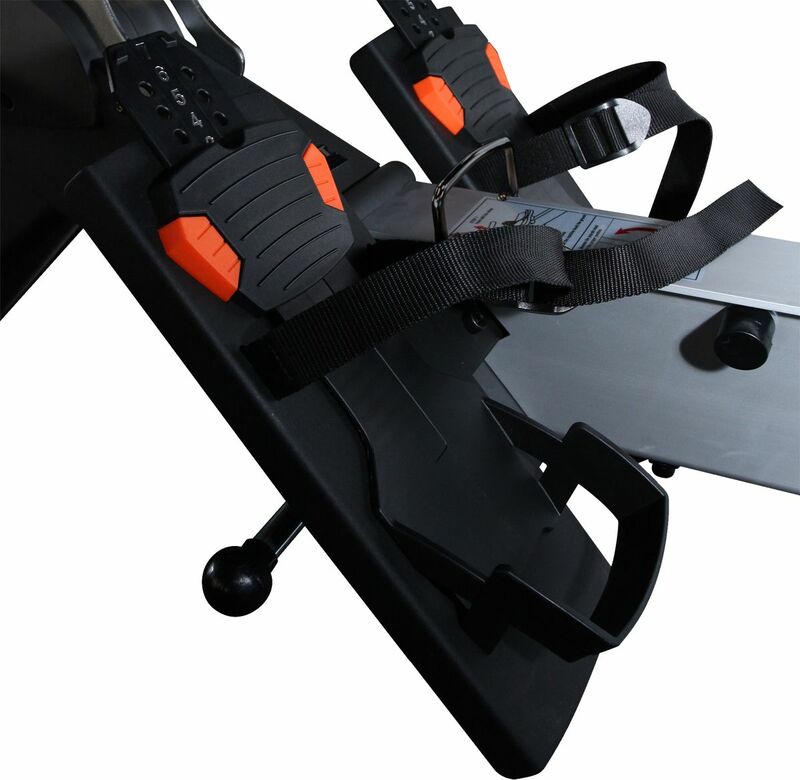 The 49 cm high seat provides an ergonomic posture while rowing.This higher rail level makes it easy to mount on the R-500 an absolute breeze, and offers an adequate support, and prevents lower back strain. The anodized aluminium rail ensures the surface is extra-hard wearing for years to come, and fits users up to 205 cm tall. The R-500 comes with extra wide adjustable, strapped footplates that make sure your feet are firmly fixed during exercise. And the handlebar itself is positioned at an angle of 10 ° for a natural hand and arm movement. The top-down adjustable console ensures that the 14cm back-lit LCD display is always at eye level directly facing you, and shows you a continuous read-out of time, pace, distance, calorie burn, stroke count, stroke per min and pulse (requires optional chest belt). Up to 5 users can program they personal profiles for more accurate readings. 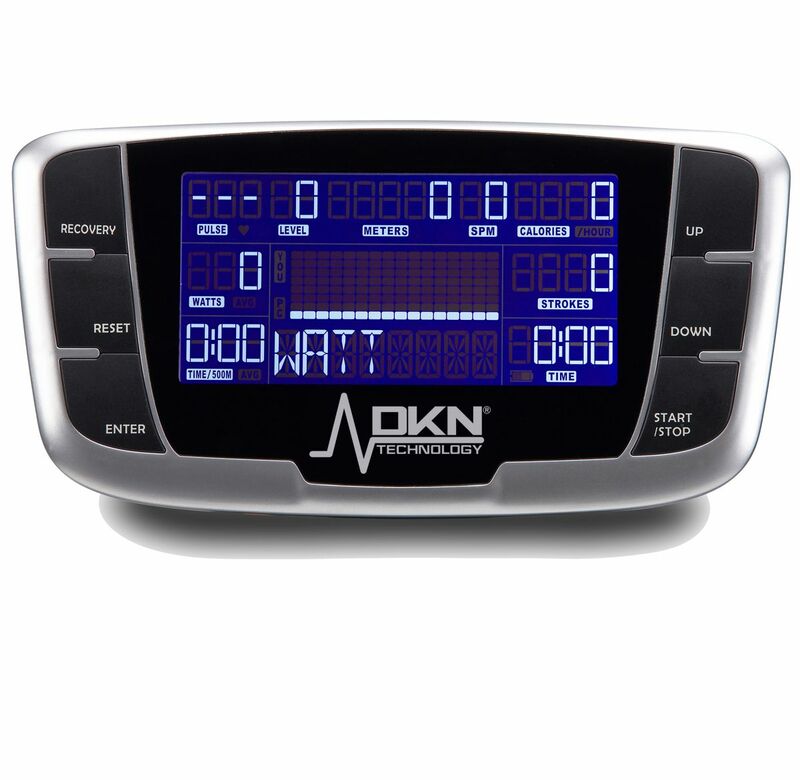 The user interface also offers 12 preset programmes, 2 personal programmable runs, target heart rate and a programmable vs computer race mode . 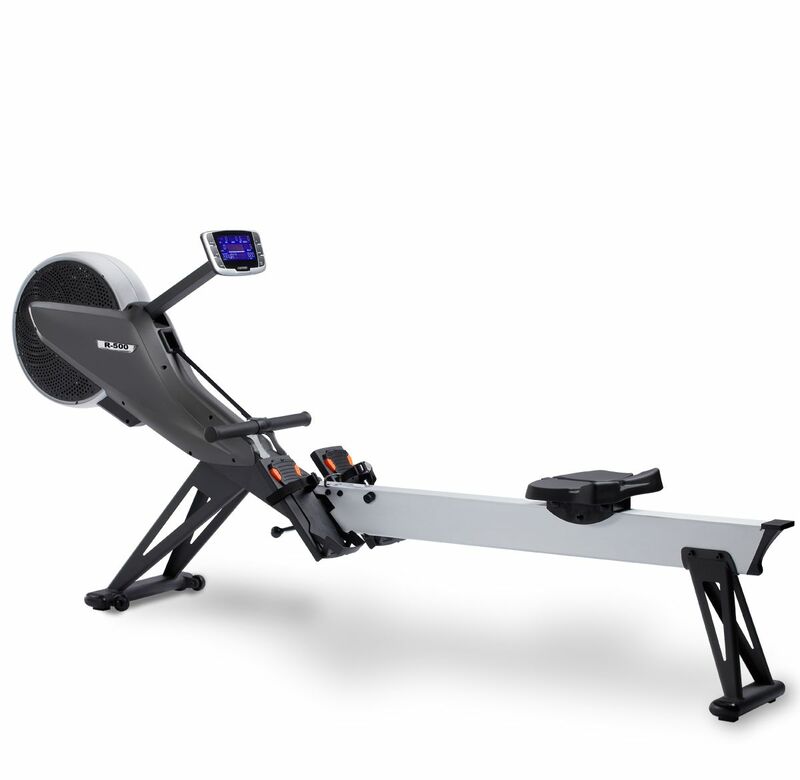 COMPACT: To round it up: the R-500 rower is a space-saver. 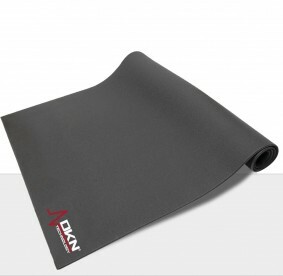 The patented folding system takes less than 136 x 45 cm.